Got a lot done this weekend! 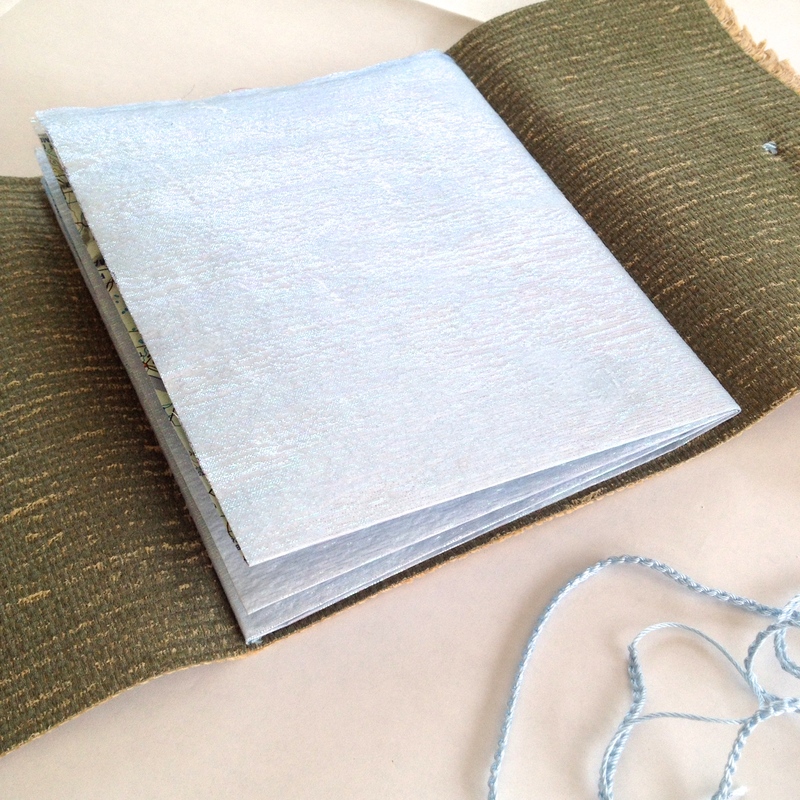 In between my crochet projects and spring cleaning, I completed another hand-emboidered art book using modern flight maps and textured fabrics. 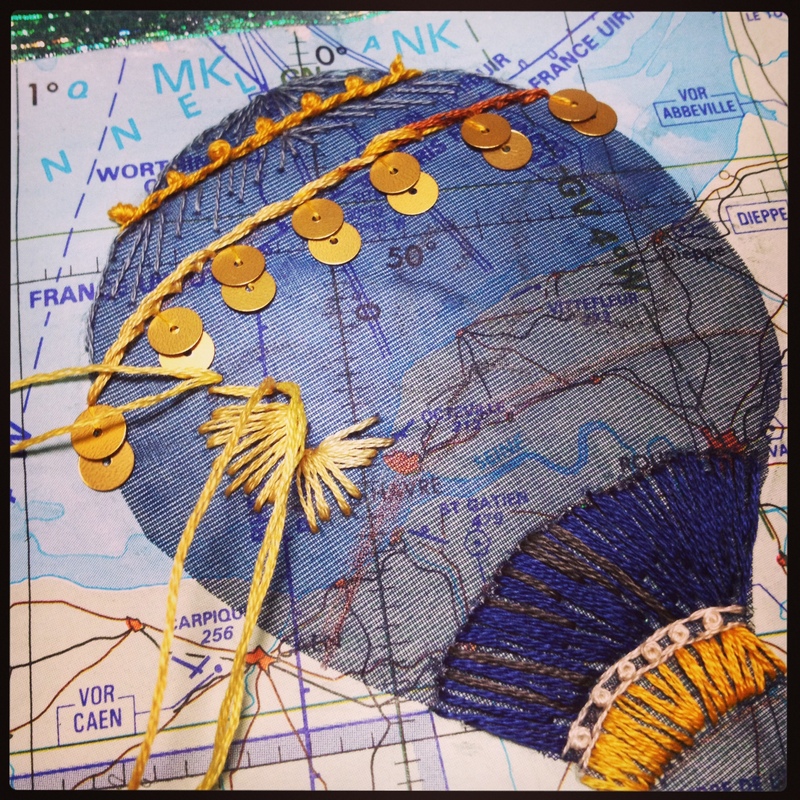 Continuing my series of embellishing old world designs onto modern maps brought me to Paris and I remembered the Montgolfier Brothers are credited with the first manned flight by creating the hot air ballon. They then demonstrated a version, highly decorated, complete with red and white bunting, to King Louis VXI of France back in 1783. 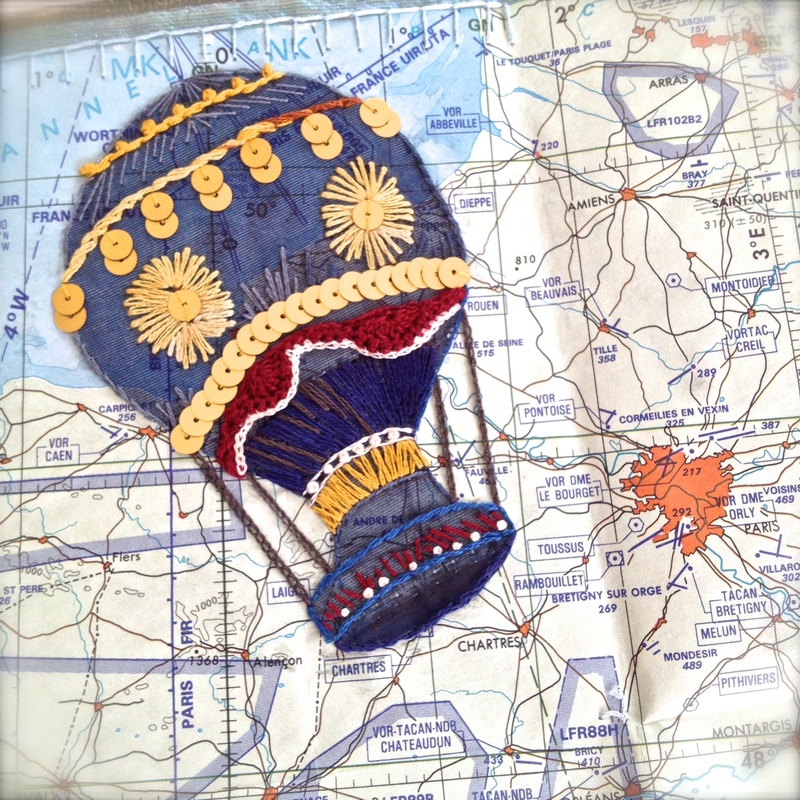 Hand-embroidered hot air balloon is completed with hand crocheted bunting and hand stitched sequins. Open map size is approximately 50cm x 38cm. 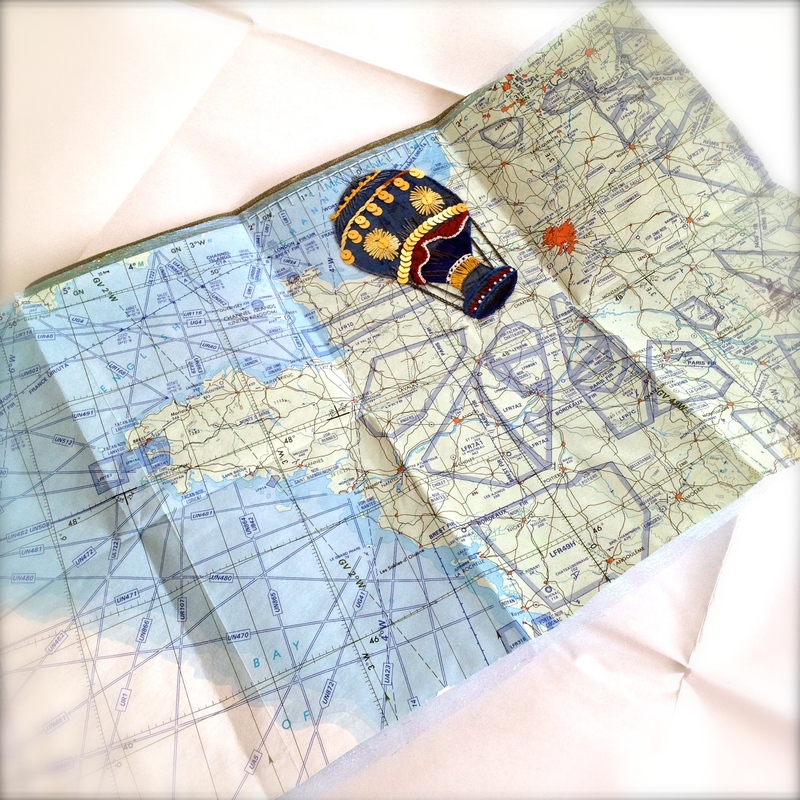 The map is both glued and hand stitched to the cover to ensure durability. 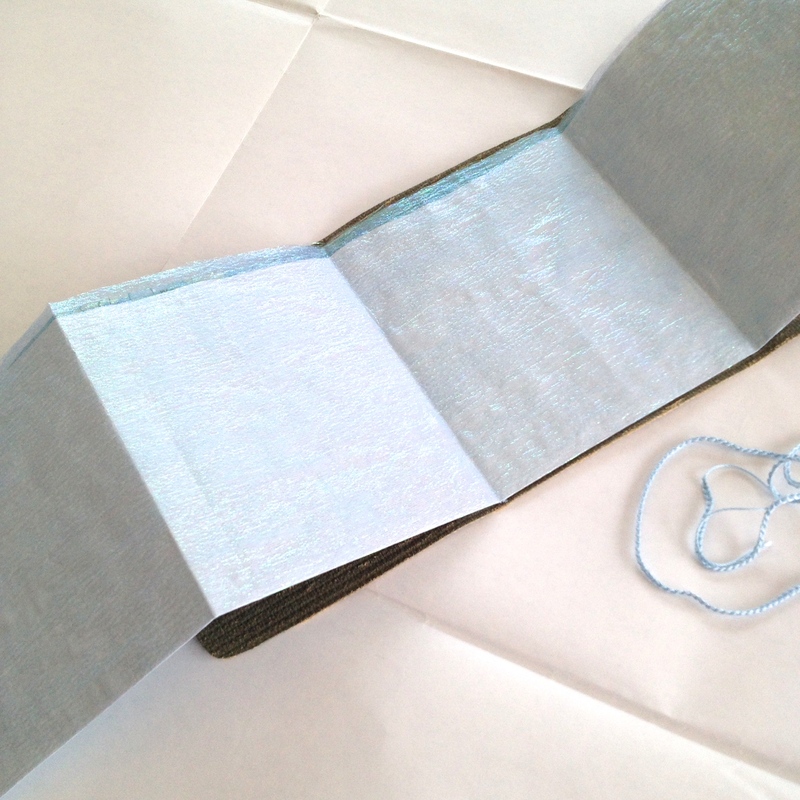 A big button and hand crocheted lace thread closure in a coordinating light blue. 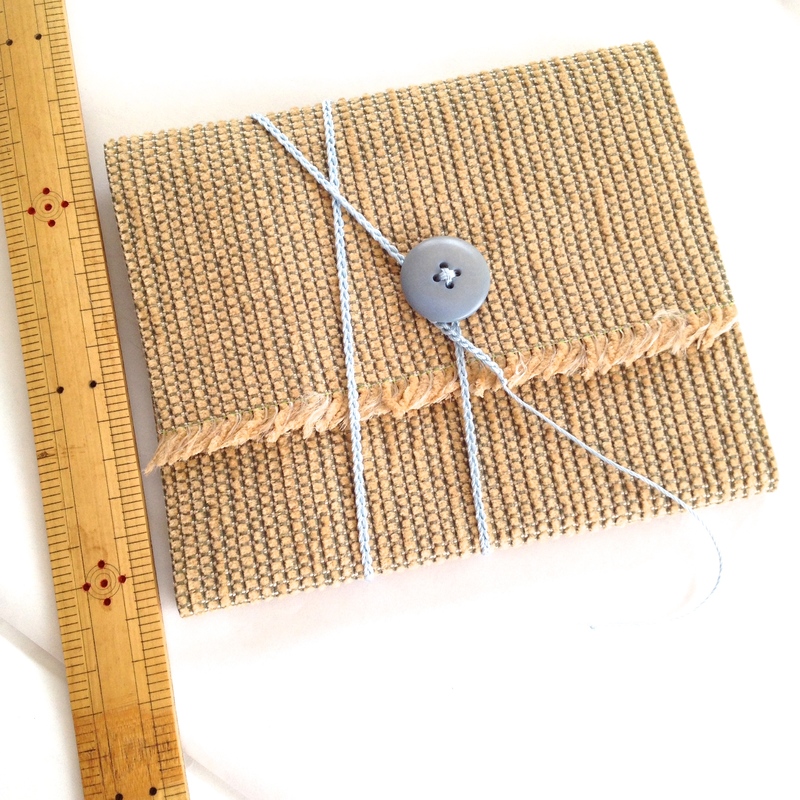 Fully bound my fun little art book measures approximately 13cm x 15cm.